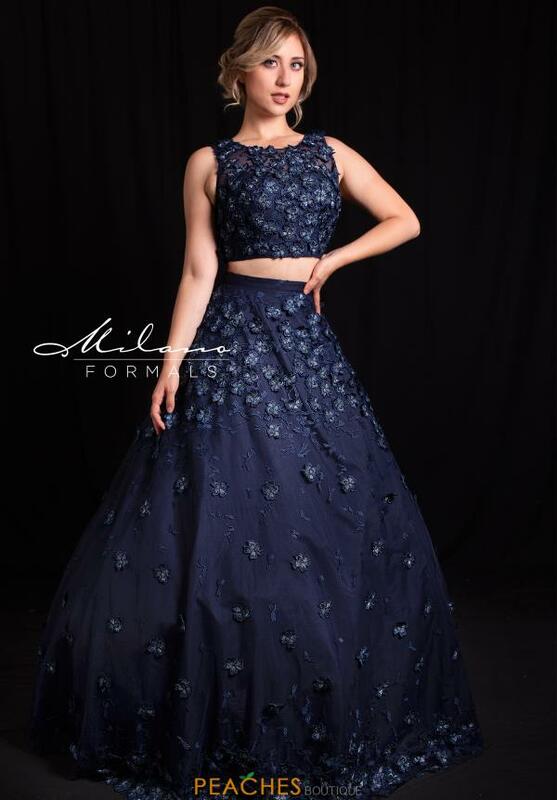 Beautiful vintage inspired ball gown dress E2605 by Milano Formals will captivate the room the minute you enter prom. The whimsical gown showcases a two piece style with a fitted high neck crop top. 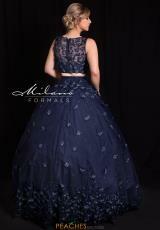 A full skirt is an a-line silhouette featuring lovely lace appliques scattered beautifully throughout.